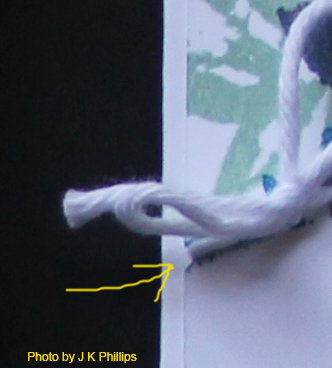 Use the tip of a pointy punch to nick a small triangular grove on either side of the card to hold the twine in place (Anna Wheaton's suggestion). I found a great little tip for curling twine or ribbon on Instragram. Wind the twine or ribbon around a pencil or similar object and heat using something like the Stampin Up! heat tool. Want to be a Stampin Up! demonstrator? Some of my art can also be bought as cards or other things including cushion covers.